Talking Image is a London-based image consultancy and training provider founded and managed by Toshiko Kobatake. 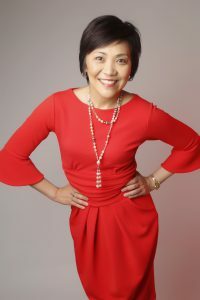 Toshiko is an International Image Consultant uniquely qualified to serve clients worldwide. Having built a globally diverse clientele since 2003, she is sensitive to cultural differences and continues to help clients of all nationalities, age and gender. Toshiko was born in Tokyo, raised in Los Angeles, California for 10 years and has lived in London since 1996. Living in different environments has helped her immensely to develop a sensitive eye to fashion and culture. She graduated from Keio University in Japan with a degree in English and American literature. She has worked as a foreign exchange customer dealer in major financial institutions around the world. Her first assignment in London was with UBS, after having worked with Citibank in Japan for many years. Having acquired excellent marketing skills, she decided to take on more challenges and work with Fuji Bank and Mizuho Corporate Bank where she used her Japanese language skills and cultural awareness to market FX to Japanese corporate clients operating globally. In 1999, she decided to pursue a career in which she had always been fascinated-fashion. Always intrigued by the way the industry worked, she was particularly interested in the relationship of image to fashion. After studying at the London College of Fashion, she trained and qualified as an image consultant with a recommended training provider of The Federation of Image Consultants (TFIC), currently trading under the name of Federation of Image Professionals International (FIPI). As a qualified image consultant, she provided personal consultations to individual clients building up the client base from her banking career. In 2003, Toshiko started her own image consultancy company, Toshiko Image Consultancy International, which has now been renamed Talking Image. 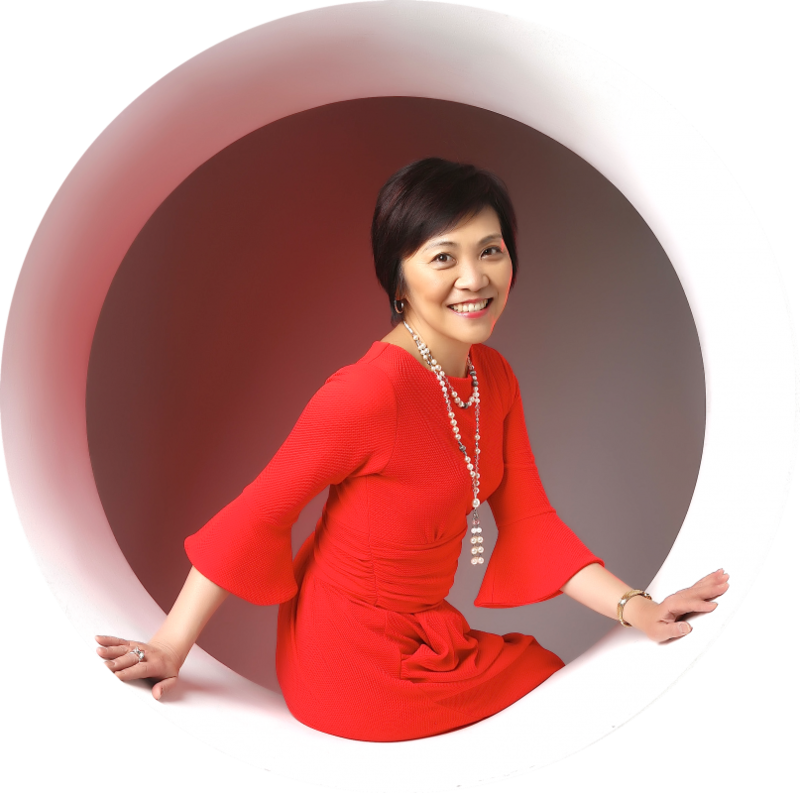 Having certified as an image consultancy trainer in 2005, holding the TFIC/City & Guilds Joint Award in Image Consultancy, Toshiko has added the training course to the many other services she offers that have helped so many women and men in all walks of life. Working with people's image over the years, Toshiko realises that our manners are also a vital means of communication. They speak louder than words. No matter how well we dress, if we are not aware of the correct, cultural manners, we are likely to project something completely confusing, resulting in mixed messages. As the world evolves globally, Toshiko passionately believes it is crucial that we are aware of the correct manners that fit our lifestyles today. With the experience and knowledge that she has acquired since living and working in London, and having been tutored by Diana Mather of The English Manner, Toshiko also trains and runs workshops on Contemporary English and Japanese Social, Table and Business Manners. A Japanese, who lives and works in the West, she exemplifies the zeitgeist of where East meets West in the twenty-first century. Toshiko recognises that the way we speak forms our image too. English is spoken globally but if you have a strong accent or do not speak clearly, it is difficult for people to understand and therefore, you are not being heard. This can affect your potential, both socially and professionally. To ensure that the English you speak brings out the best in you, we have collaborated with Susie Johns & Christopher Barr, two experts in voice production, body language and confidence building, to offer "Crystal Clear English", a 90-Day course that will transform the clarity, fluency and impact of your spoken English. 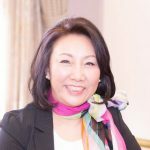 Toshiko is a Master of Federation of Image Professionals International (MFIPI) and worked as the Finance Director of the FIPI Executive Board. She is also an associate member of the Association of Image Consultants International (AICI) and is recognised as Competent Communicator of Toastmasters International, a public speaking organisation. Let us introduce you to some of our consultants who work as associates of Talking Image. They have been trained and certified at Talking Image and are now actively operating as professional image consultants worldwide. We also have more consultants working in the rest of the world, including France, Nigeria, Portugal and New Zealand. Belinda graduated as a fashion designer in London and had great success with her collections across Europe, which also included jewellery and accessories. With such great flair for style and design, she is the perfect stylist to guide you through your lifestyle with ease and grace. After studying fashion design and me rchandising, Efy ran her family business in fashion wholesale and retail for 15 years. Having years of experience, Efy offers expert advice with an honest and personal opinion, so the client leaves with confidence and satisfied having found their inner self. From the world of luxury fashion retail and training with Talking Image, Kyle has launched "Julien Whittington", where he offers his unique "Style PA" service. Kyle has also branched out into the world of interiors and offers unique upholstery and lampshading bespoke services. He has also worked on magazine shoots with some of London's top hair salons. Kyle's aim is to offer an all round stylistic service for you and your home. Nevo has been interested in fashion and image consultation since she was a child, though she did not know what it was called back then. Colour coordination, styling, fashion and grooming came naturally; as she grew up in post-colonial Africa when clothes were always tailored for the individual wearing them. This meant that friends and family members, both genders, came to her for advice. She took them shopping and honed her skills further by working in the retail industry in stores such as Selfridges, Dickens & Jones and House of Fraser giving honest one-to-one advice to clients, years before it became the phenomena that it is today. She also wrote features on upcoming African fashion designers, wrote tips for the African Times and was also quoted in the RBS Premier site. After pursuing a successful photographic and modelling career for the last 15 years, and working on media and TV events in London and overseas, Rachel set up "Rachel Moss Style Consultant" where she styles, advises and shops for clients ranging from Managing Directors, actors, film TV producers and models. Tazeen understands the importance of image and style through her work as a presenter on TV. She has also worked in finance and fashion and has an international background. She has taken clients shopping in New York, Paris, Mumbai and Istanbul. She can help each client create a successful image for themselves. As a trained singer and performer, Terri-lee realised the importance of image and style at a young age. She has always had to look the part to get the part! Terri-lee will transform your look so you can feel great and get what you want out of life! Two of your most important assets are time and your personal brand. "I get it", says Fiona. "You're busy with work and personal commitments, yet you want to create a polished and professional image that doesn't require hours of investment every day. I was a style tragic! I loved clothes but I had no idea how to pull it all together. Sometimes I got it right, but ‘wow’ sometimes I got it very wrong. I had a wardrobe full of clothes, many of them costly mistakes and nothing mixed and matched. I work with clients to simplify their wardrobes, invest in great pieces and save them valuable time. You may just need a refresher, learn some new tricks and tools and you’re happy to make the changes yourself. Or, you may want me to guide you through the entire process from discovering your style, decluttering and replenishing your wardrobe." Create sustainable success in all areas of your life/business and set goals based on your values and beliefs and achieve them. Thinkbox, the first Coaching and NLP organization in Greece and Cyprus founded by Branding, Executive Coach and Certified NLP Trainer Demetris Stylianides, provides practical courses, workshops and certification training using Neuro Linguistic Programming. "Throughout my 25 year career in the image industry, my greatest assets, professional honesty and integrity, have given me a loyal following. Today, I offer a personal bespoke service to every client: women, men, small businesses, mums-to-be, bride and grooms, wedding parties plus personal guided shopping trips in Dubai and London." Eiko self taught colour analysis while she worked for a hotel run by a non-Japanese company. In 2013, she trained with Toshiko, the Managing Director of Talking Image and since 2014, she has been providing image consultancy services in Tokyo. Through her thorough consultation, it is her true passion to bring out her client’s personality and to make them look and feel absolutely stunning by finding the colours that most compliment them. Hair and make-up artist. Futoshi manages five hair salons. His hair and make-up salon and schools 'Perms Hair' are located in Harajyuku, Tokyo, Chiba and Ibaragi, Japan. In addition, Futoshi works as a hair and make-up artist for Paris, Milano and Tokyo Collection, televisions, magazines and commercials. He also teaches bridal hairstyling and make-up in Japan and Asian resort hotels. As well as being qualified as an image consultant, he is recently further putting his creativity into accessory designing. Owner of days hair. Takehiko works actively around the world as well as in Japan. With his vast experience, he has been involved in creating TV commercials and album covers and has worked as a hairstylist for many celebrities in Japan. His aim now is 'to bring out the beauty of every person', making use of his skills in a warm and relaxed atmosphere. He holds "Take Beauty art" workshops and hair shows in and out of Japan. Also qualified as an image consultant, he can do wonders for you in every aspect. 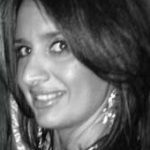 Manal is an owner of two boutiques in Hamra, selling exquisite ladieswear and accessories. She works for many TV celebrities, sponsoring Arab idols and for an international program in Mexico. As a true image consultant, she hand picks each item herself, which is no wonder why she has so many followers asking for her advice. She understands her customers and dresses them beautifully , making them look and feel fabulous! Born in Mexico City, Sarahí Reza started working in a beauty salon as a make up artist at the age of 16. A year later, she did her first cover for the newspaper, Reforma. She also worked as a freelance editor for various publications until she decided to study at a college specialising in Public Image. Since then, she has been styling for music bands and after having trained with Talking Image, she is now working as a professional image consultant. Tomoko is currently living in Abu Dhabi working as an International Image Consultant. She is also a RYT-200 certified Yoga Instructor, helping her client's appearance and lifestyle by empowering their physical body and mind. 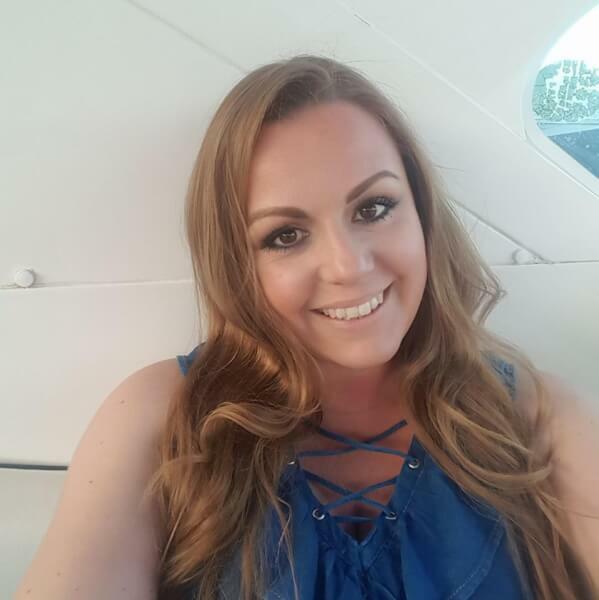 She greatly enjoys helping each client to incorporate their brand by establishing the successful image of themselves and sharing yoga practice to encourage people to believe in their inner strength.